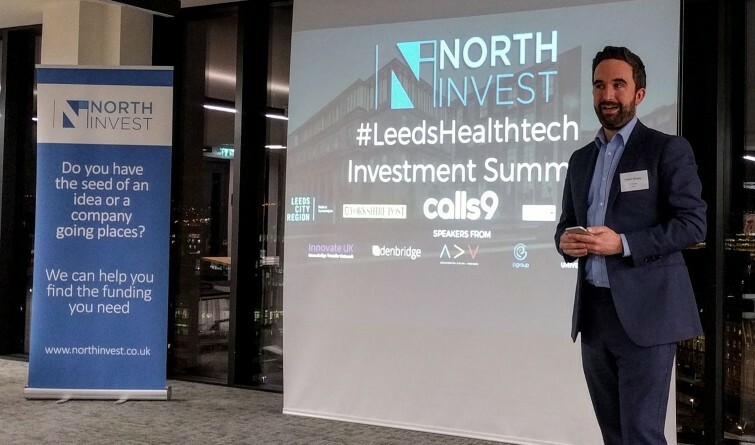 Calls9 was proud to be the sponsor of last night’s #LeedsHealthtech Summit, which was organised by NorthInvest, the not for profit company connecting investors to companies. Helen Oldham from NorthInvest opened the evening, welcoming a packed room at the Platform tech hub, including an announcement that NorthInvest will be opening an investor hub there soon. Adam Roney from Calls9 detailed the work we’re doing in the general tech sector in Leeds and discussed an exciting medtech product that we’re working on at the moment. It’s too early to give many details so watch this space! We then heard from three seasoned investors. Professor Gary Shuckford, previously a director at Leeds health giant EMIS, talked about his angel investments, particularly in Edenbridge Healthcare. Dr Laura Bond, from new tech fund Accelerated Digital Ventures, discussed their work in the north and she believes that Leeds can excel in healthtech. Dr Simon Graindorge from IP Group detailed how they recognise and work with early stage businesses, especially in the university network. Two more speakers discussed how they facilitate investment. Charlotte Thompson from Knowledge Transfer Network talked about their work with companies and access to finance in the north. Dr Ceri Williams form the University of Leeds discussed how it supports early stage businesses, and how the new Nexus building will provide access to resources and facilities to businesses in the city region. The evening showed how strong the healthtech sector is in Leeds and we’re proud to be a part of it. Calls9 helps businesses launch websites, apps, intranets and digital experiences in record time. By combining our platform with our in-house design and development capability we can deliver digital projects quicker than a traditional agency or software house. And because we built the platform we can provide industry-leading customer support as standard. Contact us to start your Digital Transformation journey.